Joan Hagen, who serves as the associate vice president and controller at Indiana University (IU), Bloomington, is the recipient of the NACUBO 2018 Daniel D. Robinson Award. The award presented last month at the Higher Education Accounting Forum (HEAF) recognizes individuals who demonstrate leadership and a national commitment to the advancement of college and university accounting and reporting. In her role, Hagen is one of the most senior finance executives at the university, where she manages an annual operating budget in excess of $3.5 billion, enrollment of 110,000 students across seven campuses, and employment of 19,000 FTE employees. Steady increases in responsibility. Indiana University is a multicampus public research institution with the mission of providing broad access to undergraduate, graduate, and continuing education students on a national and international level. 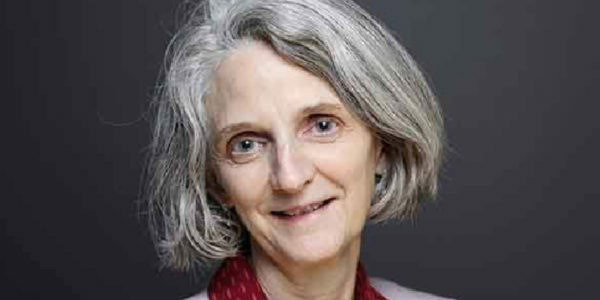 Starting as a cost analyst and specializing in OMB Circular A-21, Hagen joined Indiana University in 1997. Since that time, she has served in numerous positions to include cost analysis and cash control manager, chief accountant, and budget director. In her current position, she oversees financial policies, external financial reporting, tax policy and compliance, cash control and cost analysis, auxiliary accounting, capital asset management, business analytics, payroll operations, and student financial and customer service operations. A history of volunteerism. A dedicated professional, Hagen has served on various committees and councils to help advance and shape accounting issues in the higher education community. Hagen has served on NACUBO’s Tax Council and as a representative on the Information Reporting Program Advisory Committee (IRPAC), where she helped simplify and clarify rules and regulations that improved and created policies that promote effective tax administration. 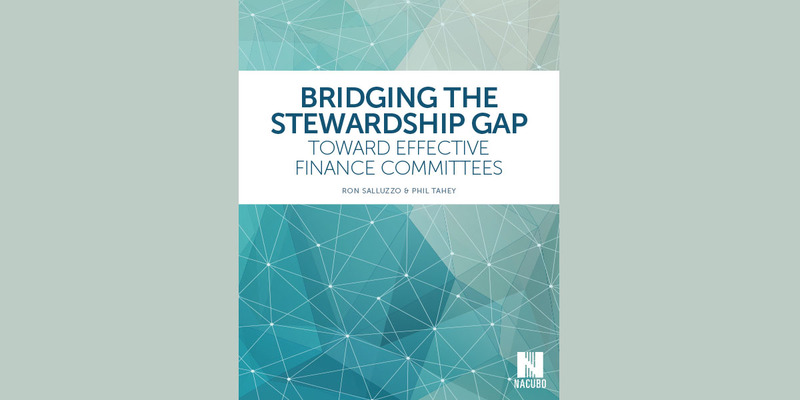 As a work group member for NACUBO’s Accounting Principles Council, she worked with other committee members and staff to address financial statement reporting inconsistencies and published recommendations/conclusions with respect to the issue of comparability. Hagen also served on a committee that authored advisory guidance for public institutions to fulfill new Integrated Postsecondary Education Data System (IPEDS) reporting requirements: Advisory Report 2010-01, “Methodologies for Allocating Depreciation, Operation and Maintenance of Plant, and Interest to Functional Expense Categories.” And, as IU’s representative on the Kuali Foundation and Kuali Higher Education Community Engagement, Hagen is a regular workshop/session presenter at Kuali Foundation’s Kuali Days conferences, where the mission is to promote and enhance open-source higher education financial enterprise systems that would meet higher education needs with leading edge functionality. She has been an active leader and champion of the Kuali open-source solutions at IU, having led a successful Kuali Financial System implementation and ongoing management of postimplementation system operations. Scheduled to be released in May, the book will be available in print, electronic, and audiobook formats. The authors also presented at the Higher Education and Accounting Forum that was held in mid-April at the Kansas City Marriott Downtown hotel. 2018 Tax Forum (October 14–16 in Denver). 2018 Global Operations Forum (October 16–17 in Denver). For more details, including topics of particular interest and submission guidelines for each program, visit www.nacubo.org and click “Submit Content,” under the “Conferences & E-Learning” tab. NACUBO members will be asked to vote on the bylaws changes at the upcoming NACUBO 2018 Annual Meeting. Voting will take place during the Primary Representatives’ session to be held on July 22, at the Long Beach Convention and Entertainment Center. (1) Align the bylaws with updated laws governing nonprofit associations. (2) Clarify the language and reorganize the articles, with an eye toward reducing ambiguities and making the bylaws more readable. (3) Update the bylaws pertaining to the NACUBO Board of Directors to ensure that the board’s structure and authority reflected the important role that the board plays for NACUBO; add a nominating committee as a standing committee of the board; and change the voting status of the president/CEO to director, ex officio, without vote. Prior to the conference, NACUBO primary representatives will receive from NACUBO Board Secretary Lynn Valenter more detailed information via e-mail. The current bylaws may be viewed in their entirety on the NACUBO website. Under the “Who We Are” tab, select “Organizational Documents and Policies” then “Bylaws.” Other business items at the Primary Representatives’ session include a proposed 3 percent dues increase for membership year 2019–20, which will require members’ approval, and an introduction of the new president and CEO. Members with questions about the proposed bylaws changes should contact Marta Perez Drake, senior vice president, education, development, and membership at 202.861.2519.